The Anesthesiology Consultants of Marin is a group of physicians specializing in ensuring the safety and comfort of patients undergoing the stress of surgical or medical procedures. ACM physicians also provide post-surgical and obstetric pain management and treatment of various pain conditions. All physicians with ACM are Board Certified in the specialty of Anesthesiology by the American Board of Anesthesiology or are actively engaged in the certification process. Anesthesia care is provided by ACM at a number of locations throughout the North Bay area. 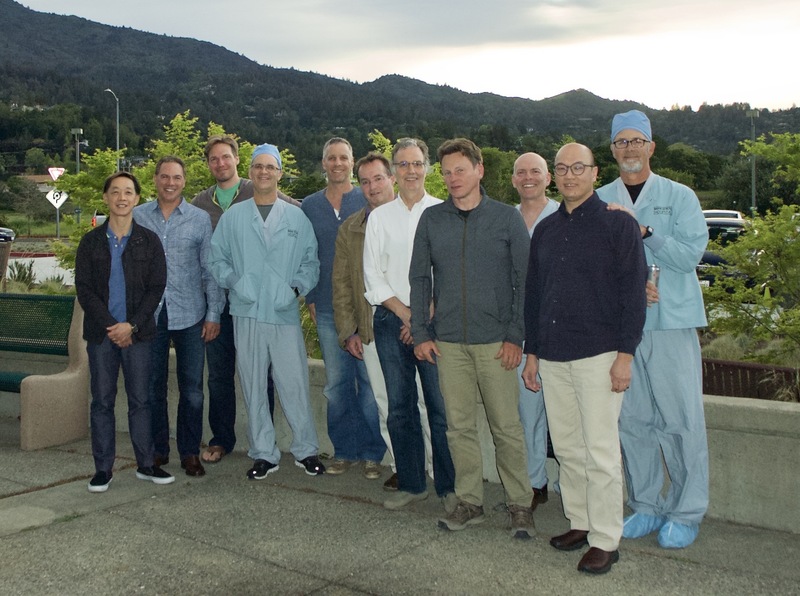 ACM physicians provide anesthesia services for Marin General Hospital and Sonoma Valley Hospital 24 hours a day, seven days a week. ACM physicians also provide anesthesia care at the Veterans Administration Hospital in San Francisco, Marin Specialty Surgery Center as well as several Bay Area surgeon’s offices. Anesthesia is a temporary induced state with one or more of analgesia (relief from or prevention of pain), paralysis (muscle relaxation), amnesia (loss of memory), and unconsciousness. Typically used during surgical procedures, dental procedures, and child birth (epidural). Here are just a few types of anesthesia. Under general anesthesia, you are completely unconscious and unable to feel pain during medical procedures. General anesthesia usually uses a combination of intravenous drugs and inhaled gasses (anesthetics).General anesthesia is more than just being asleep; the anesthetized brain doesn’t respond to pain signals or reflexes. ACM takes great pride in caring for our smallest patients referred to our facilities for scheduled procedures. None of the facilities we operate in offer neonatal or high risk pediatric services. Many different types of procedures require your child to stay still or may cause them discomfort if no anesthesia is used. IV sedation is a combination of medicines to help you relax (a sedative) and to block pain (an anesthetic) during a medical procedure. You will most likely stay awake but may not be able to speak. IV sedation lets you recover quickly and return to your everyday activities soon after your procedure and is used for short procedures. Our patient access page is full of information to help you understand the type of anesthesia you may receive and some “things to remember” for the night before. Please refrain from using this website and its contact form to contact your anesthesiologist or any of our anesthesiologists. He or she will see you BEFORE your procedure, during that time you may express your concerns and questions. Your anesthesiologist will be happy to answer them at that time. The Anesthesiology Consultants of Marin were founded as a medical group in 1992 to provide high quality, physician delivered anesthesia care. Beginning with 3 physicians, ACM currently has 21 anesthesiologists providing care for every type of surgery from routine to complicated, including trauma, obstetric, cardiac and neurosurgical anesthesia. ACM contracts with major insurance companies, we will work with your insurance as much as we can.